Over the next week or so, I will be reviewing several Korean beauty products sent to me by one of my favorite Korean beauty online shops, Tester Korea. I have reviewed my experience with them in the past; they have a different selection of brands from a few others that I use, and their prices are very competitive. My favorite thing about them is you can request brands and products and they’ll try to get them in stock! 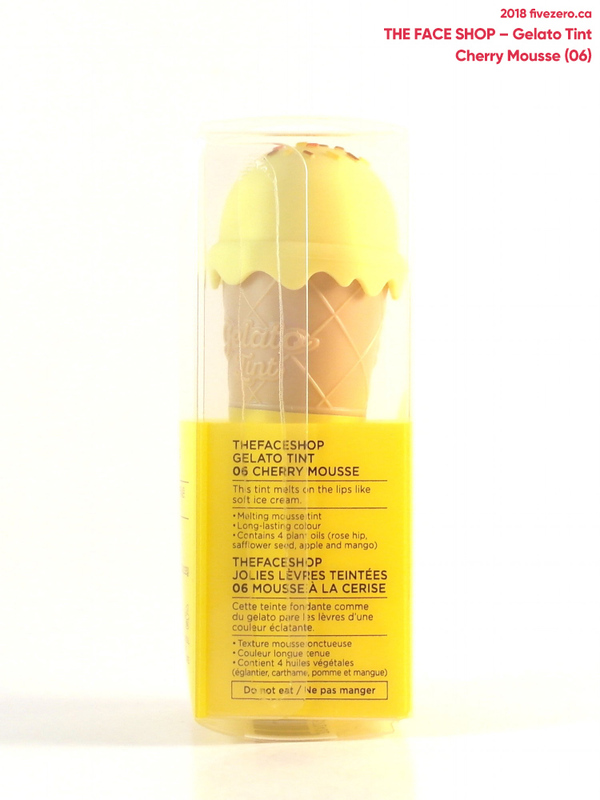 Today’s review is for The Face Shop Gelato Tint in Cherry Mousse (06). As with Mamonde, I haven’t tried too much of The Face Shop’s makeup products, so I was looking forward to trying this lip tint. And, as I did with the Mamonde foundation, I think I chose the wrong color again! 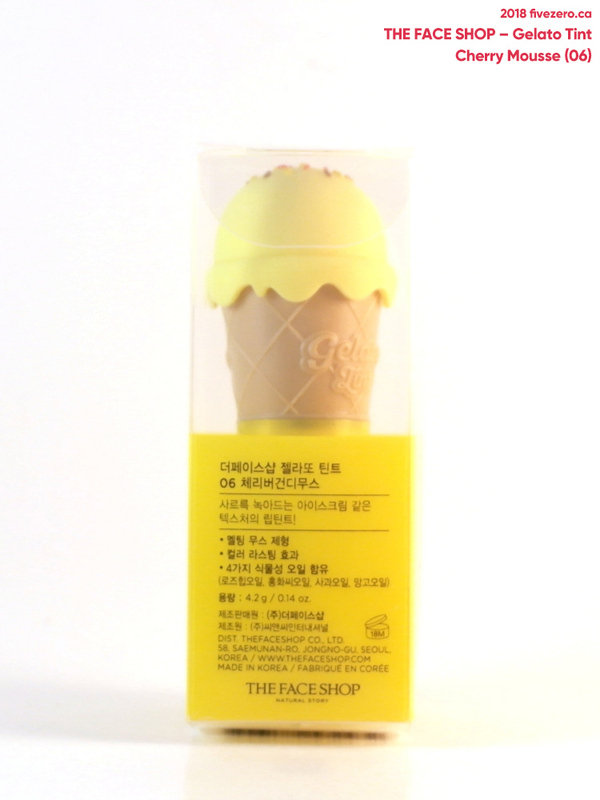 The Face Shop Gelato Tint comes most adorably packaged in a case that looks like a small ice cream cone! The screw-off cap is rubbery and looks like the ice cream part, with sprinkles on top. SO CUTE. I chose the yellow one, since I’m fond of the color, and I didn’t particularly care for the other shades available (pinks, reds and oranges). I thought the yellow might have been a sort of sheer coral. 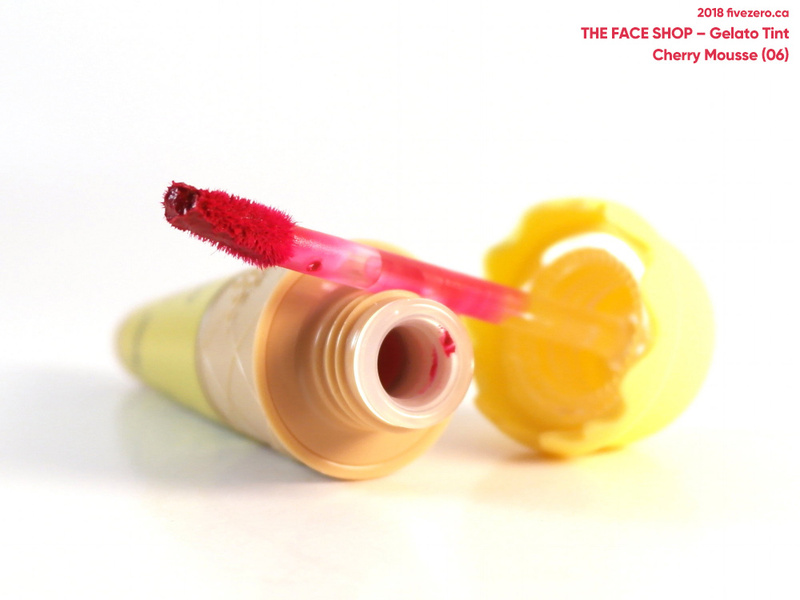 Well, I should have found out that the yellow shade name is actually Cherry Mousse. So obviously, it is a bright freakin’ fuchsia! The brightest fuchsia in the six-shade lineup! And oh, by the way, literally none of the colors really align with the ice cream colors. Duh. Shoulda gone with the boring brown one, I guess, or the vanilla. Bright stuff. Actually I don’t mind it—it’s redder in person than it is in the official swatch, which makes it less garish on my skintone. The texture is somewhat dryer than I expected, which I like. I’m not a fan of the goopier liquid lip products. This definitely has that dries-to-a-matte-finish texture, but there is also a nice shine to it once you layer a bit more on, because it also has a slightly oilier feel and doesn’t get totally dry. You do want to have nicely exfoliated and moisturized lips under this, though, because it will still show a bit if you have dry lips. Generally, it stays put pretty well and doesn’t migrate all over the face. But because it doesn’t completely dry, and stays a bit “moist” (oily, really, but in a moisturizing kind of way), it does rub off. However, the pigmentation is quite strong, so you’ll still have a pretty, even stain on underneath—unless you’re eating a platter of greasy ribs or something. This lip tint washes off nicely and won’t actually leave a deep stain on your lips. The product is scented, as you’d expect. The scent for 06 Cherry Mousse supposed to smell like mango (why not cherry? ), but I honestly can’t really make out what it is. It’s vaguely fruity/floral and a little sweet. Not a particularly natural fragrance. The scent is only slightly noticeable even when the product is on the lips. It also contains a few natural extracts, though they’re pretty much all at the bottom of the ingredient list. If you like liquid lipsticks, this is definitely worth a try, if only because the packaging is just so gosh darned cute! My kids are definitely going to love playing with it. by Tester Korea for my honest review. 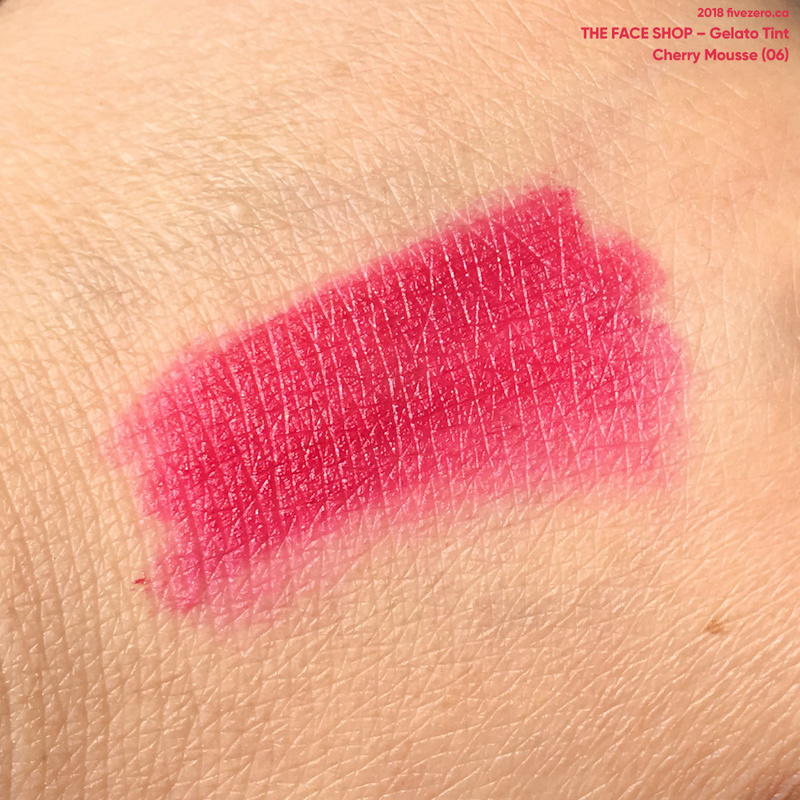 The Face Shop Gelato Tint in Cherry Mousse (06) retails for about US$8.25 (₩9,000) at Tester Korea, and contains 0.14 oz / 42 g. The product is made in South Korea, where animal testing was banned starting in 2018. The Face Shop was launched in Seoul, South Korea, in 2003. Today it is one of the largest cosmetics companies in that country, and has hundreds of stores worldwide. In 2009–2010, the company was acquired by LG (yes, the home appliance maker). This is super cute! 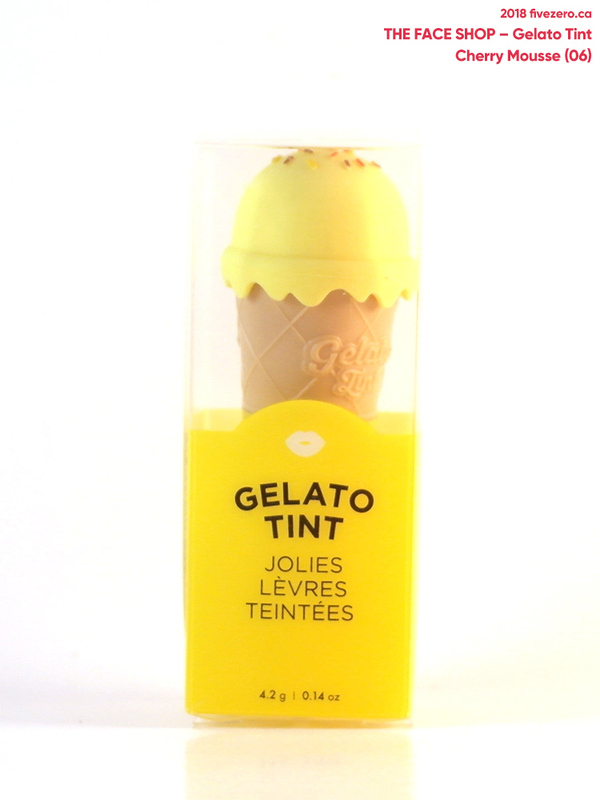 But it would have been better of the outer packaging matched to the lip shade… duh, indeed. I love tints as they give a more natural color on the cheeks and lips.